Be Sure To Join Our Foundation Of The Breed Forum, It costs nothing and there are many pictures of the greats of the past and also many ads on these hounds. New ones are being put up most everyday. Click the link below and enjoy a trip back to the past. CLICK HERE to go to The Foundation Of The Breed Forum. Here you will be able to view more pictures and ads. Ask questions and take part in discussions. Visit our guest book and become a part of it with your memories of some of these great hounds and the history with them. 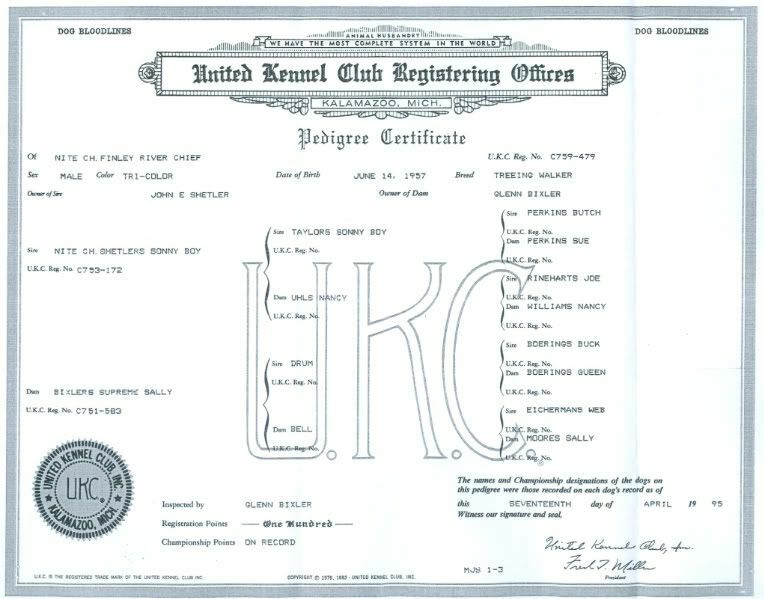 On this page we will be adding Pedigrees that will be easier to read and help anyone that is trying to use them for research. Requests for certain pedigrees are always welcomed. Pedigree for Rock River Sackett Jr.